We want to wish all of our readers a very Happy and Healthy Chanukah, Christmas, and New Year. Remember to start your day right by listening to Classical music. This month’s newsletter includes an interview and radio show with Elizabeth Hamilton , Internationally known expert in teaching “high moral values”, “character” to students , the power of performing Classical music to heal Alexander Gavrylyuk , Classical pianist, after a near fatal car accident and the power of Classical music to stop crime. The story for December is “The Gift of the Magi” by O. Henry. If anyone has an experience they would like to share with our readers on the benefits of classical music please send it and it will be include it in the January 2009 newsletter. Elizabeth Hamilton what would your ideal model of a school and classroom look like including Classical music in the background, the pledge of allegiance, prayer and how long would the school day be, and what are the best schools you have worked in and why? Elizabeth Hamilton is an Internationally known expert in teaching “high moral values”, “character” to students in public and private schools. She is an educator, missionary, bestselling author of “Date With Responsibility” (2004) and “Remember Pearl Harbor” (1982), wife of David Hamilton an educator missionary and accountant, for over 45 years, mother of two children, and a third generation musician. After graduating from Houghton College with a BA in Elementary Education, Bible and French, Elizabeth Hamilton earned a Teaching Certificate in Elementary Education in New York State. She began teaching in 1962 and has worked as a teacher for 36 years and a principal for 9 years. Elizabeth Hamilton began teaching “Character” to her students in September 1962. She wrote her own materials for her classes. As a teacher, Mrs. Hamilton taught language arts, mathematics, science, history, geography, French, music, and character in every grade of public and private schools. She taught in New York State for 1 year, Illinois for 3 years, New Jersey for 2 years, Hawaii for 7 years, Massachusetts for 2 years, North Carolina for 7 years, Japan for 11 years teaching English and Character in the public schools – and speaks fluent Japanese. Mrs. Hamilton was the Principal for 4 years in a Private Elementary School, grades K-6 and a Principal for 5 years in an Elementary, Middle and High School Private School. Mrs. Hamilton, from “1996-1998, filled a position in Zealand as a teaching principal: balancing administrative duties with high school teaching.” She has seen the best run schools and the worst run schools in several nations. Elizabeth Hamilton was born near Pittsburgh, Pennsylvania to Elizabeth and William Ritchey. On her father’s side, she is a “third generation pianist.” She played her first piano recital at four years of age. Her father, William Ritchey was a skilled pianist in high school and was offered a scholarship to the famed Juilliard School. He turned down the scholarship and instead attended a seminary to become a minister, but he shared his lifelong enjoyment of playing the piano with his children. Mrs. Hamilton said “He made sure our home always contained a piano and some of my earliest memories are of dancing around the living room while Dad played one of Liszt’s Hungarian Rhapsodies. I would have been 2 or 3 years old. Mother loved music, too, and although she did not have the opportunity to study an instrument, growing up on a Pennsylvania farm, she gradually taught herself to play simple classical pieces. Both of my parents played hymns, and mother eventually taught herself to play well enough to accompany congregational singing in the church.” Elizabeth, 3 older brothers and 1 younger brother all studied the piano and were surrounded by Classical music throughout their formative years. Elizabeth Hamilton in 2002 began Quiet Impact Inc. with her flagship character books for teens. Her “Character-in-Action® Series currently includes an adventure and a teen romance. In 2003 Mrs. Hamilton launched her “Character Companions® Series” for ages 3 to 8. In the series are 13 books teaching character, honesty, self-control, obedience, patience, trustworthiness, fairness, and cooperation. Mrs. Hamilton’s books are enjoying popularity in all of these countries, in a variety of ways. Parents are giving their children and teenager’s gifts of Mrs. Hamilton’s books and teenagers are ordering her books on line. Libraries, religious groups, life coaches, and sheriffs are ordering them for their youth social programs. Schools especially love Mrs. Hamilton’s books. Entire school districts in the United States and internationally are ordering her books to teach moral values. Since Mrs. Hamilton draws on her years as a career educator to prepare and publish full lesson plans for each of her books, teachers find that the combination of books with lesson plans fills a need in Character Education classes. Universities are using the books in education classes that teach future educators how to present character building to young people. Recognizing Elizabeth Hamilton’s expert knowledge and writing ability, publishers have now requested rights to translate and print her books in the Middle Eastern languages, Spanish, and Chinese. Selecting the right music can improve your behavior and your health. Gavrylyuk in 2005 won the Arthur Rubinstein International Piano Competition in Tel Aviv. One of the judges said Gavrylyuk was “the only one with something demonic.” Today he plays concerts around the world and is married to Zorica Markovic. He began playing the piano at 7 and played his first major concert at 9 playing with the Ukrainian Orchestra a Bach Concerto. 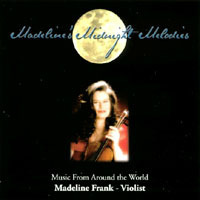 He won competitions in Italy and Kiev and at the age of 13 went to study in Sydney at the Australian Institute of Music. Recent medical research has determined that when you play a musical instrument, all four lobes of the brain and the cerebellum are being stimulated. By playing a musical instrument the brain cells are strengthened and form new connections. The brain is a Darwinian organ that changes with the stimulation it receives. Because of Gavrylyuk musical studies beginning at such a young age his musical study created and improved his neurological connections and helped regenerate his neurological connections in his brain. He continued strengthening the connections to his brain by continuing his piano playing and performance after the car accident. Some experts believe the brain has the ability to heal itself. 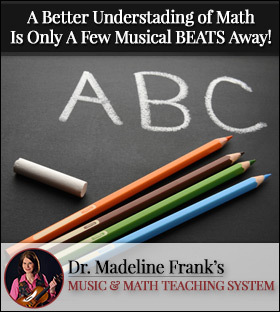 The power of studying a musical instrument for a long period of time has the ability to stimulate the brain permanently. Another example of how musical study creates and improves neurological connections is the example of the regeneration of brain function in those individuals who have had portions of their brain removed (hemispherectomy) as a procedure to alleviate seizures caused by Rasmussen’s Encephalitis and Epilepsy. A child of eight continues to do well after the above operation. 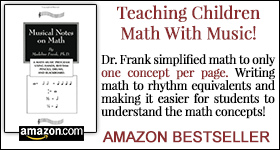 He takes piano lessons and continues to do well in mathematics. Despite the effects of the operation, which removed that portion of the brain responsible for mathematics, poetry, and music, his brain cells, are making better connections. In two months he was able to make progress in language use which would normally have taken nine months. 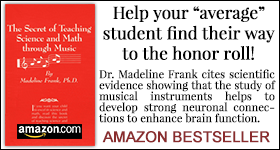 The study of Classical music is restoring necessary brain functions.